Maersk Oil has been replaced as a partner in the Al Shaheen oil field in Qatar. Maersk Oil is currently the operator of the field, but its contract expires next year. Maersk has held the contract for 24 years, but the owner of the field, Qatar Petroleum, has chosen another company as a partner. 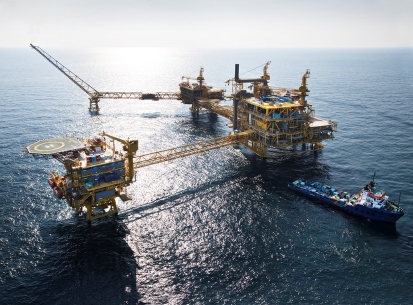 Maersk Oil has helped to develop the Al Shaheen field into Qatar’s largest offshore oil field, which today accounts for 40 percent of Qatar’s oil production. Maersk Oil chief executive Jakob Thomasen said that the loss of the Qatar field will not slow the company’s growth. “Maersk Oil is growing due to improved operations and major projects such as Culzean in Britain and Johan Sverdrup in Norway,” he said. Maersk Oil will continue to operate Al Shaheen until the end of the current licence in July 2017, and then work together with QP to support the transition of the existing operations. Some Maersk Oil employees in Qatar will be moved to other countries where the group operates, while the majority of the remaining employees are expected to be offered employment by the new operator.